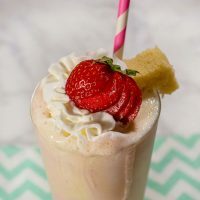 This rich and creamy strawberry shortcake milkshake has swirls of strawberry and cake-flavored milkshake. Top with a fresh farmers market strawberry and a cube of pound cake. I was going to make a berry jelly roll cake for Farmers Market Week, but my oven isn’t working! The burners on the stovetop work, but when you try to turn on the oven … nothing happens. No heat. But I had all these berries, and I didn’t want to drop out of Farmers Market Week. After all, I love farmers markets! I love going to farmers markets, even if I don’t buy anything. My husband thinks that’s strange, but on his list of “Coleen’s Weird Qualities,” that probably doesn’t even rank in the top ten, LOL. So. No oven. No jelly roll cake. Lots of berries. What to do? I had vanilla ice cream in my freezer, and I thought of a mikshake. 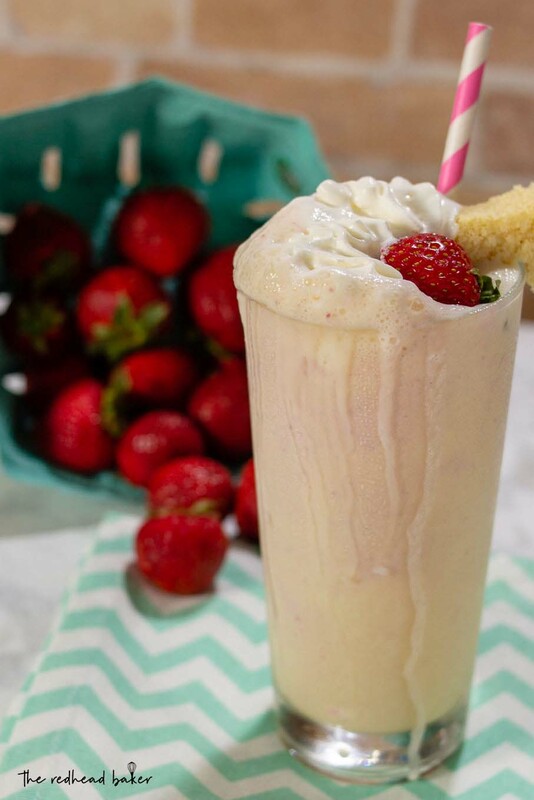 But not just a plain old strawberry milkshake. No, a strawberry shortcake milkshake! Other recipes have you blend actual cake in with the ice cream, but I’m not a fan of soggy cake crumbs. I do, however, love cake mix blended into milkshakes. 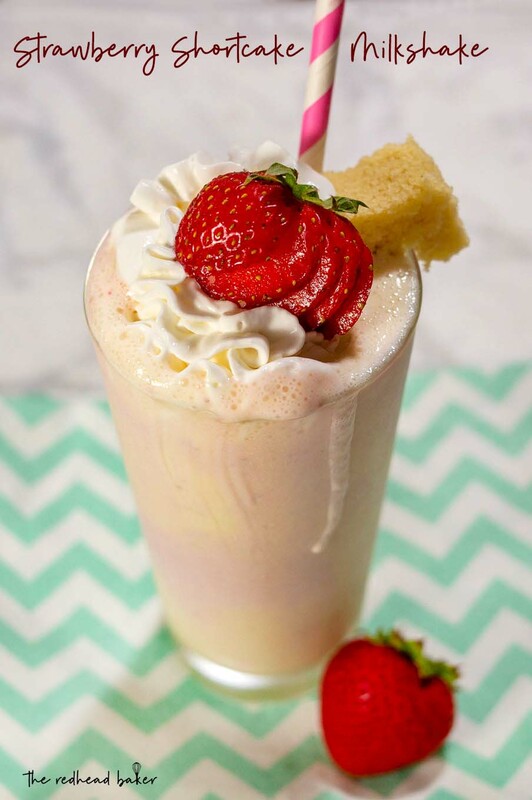 I had dreams of a strawberry- and cake-layered milkshake, just like the classic layered strawberry shortcake. I may have had dreams, but I do not have patience to layer, freeze, layer, freeze, etc. Instead I ended up with a pretty swirled milkshake, which still tastes pretty darn-tootin’ good. If you actually have the patience for layering, I’ve included those instructions in a note below the recipe. Not a fan of strawberries? Substitute 1 cup of your favorite sliced fruit instead! Peach shortcake is almost as popular as the original strawberry; blueberries or cherries would also be delicious. 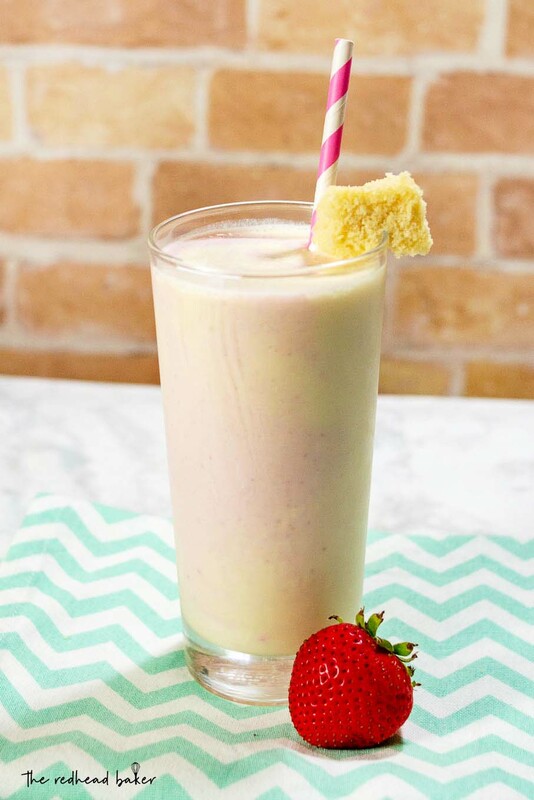 Place the strawberries and milk in a blender. Puree on high speed until fully blended. Add 1 cup of the ice cream and blend on high speed just until fully combined. Pour into a 2-cup glass measuring cup and place in the freezer. Rinse out the blender and place the second cup of ice cream in the blender with the milk and the cake mix. 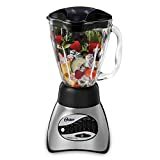 Blend on high speed until no more cake mix is visible. 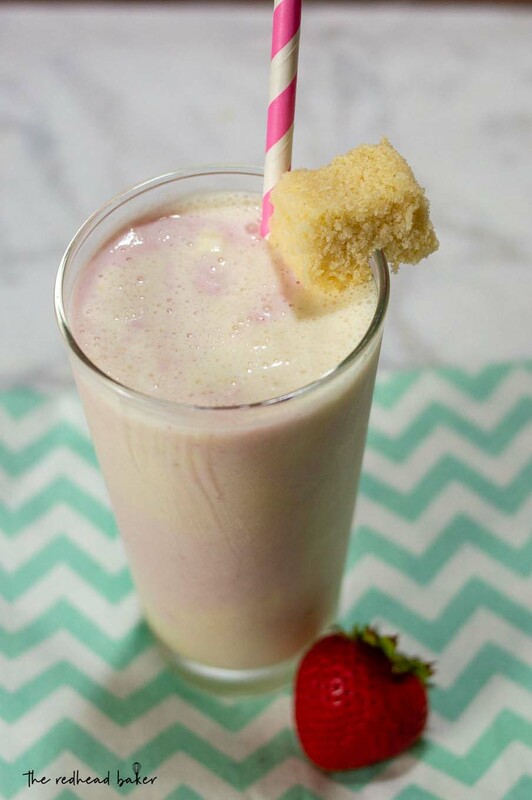 Pour alternating layers of cake milkshake, then strawberry, then cake, then strawberry into each of two tall glasses. Garnish with whipped cream, a cube of pound cake, and a fresh strawberry, and serve immediately. If you want the layers to stay separate and not swirl together, start with chilled glasses. Pour in the cake layer, then freeze for 15 minutes, then add the strawberry layer and freezer for 15 minutes. Repeat layering and freezing until the glasses are full. I also enjoy going to farmer’s markets even if I don’t buy anything! And I am sad about missing the cake but this milkshake will definitely ease the pain. It looks amazing!